Matters Of Retired IGP And The Deputy IGP, Is The Problem With The Contracts Or The Contractors? In the actual sense, I don’t have problems with the president giving retiring police officers contracts or extension of office. I don’t have problems with that at all. It is least among my worries as far as policing is concerned. It is at the prerogative of the president to extend the tenures offices of IGPs, Deputy IGPs, COPs and other ranks that he deems fit up to 5 years and that is very constitutional and nobody can challenge that in any court of competent jurisdiction. We can only challenge the appointing authority of the president if those he has given extension of office stay beyond 5 years but for now, all the commentaries being ran are sheer hypocrisy based on personal and parochial interests. I am not interested in those spineless arguments. I also think we should not have problems with who is the IGP, and how long he stays in office if indeed we are committed to the cause of policing but not personal gains as far as the appointment and extensions of offices of IGPs, Deputy IGPs and other high ranking officers in the police are concerned. Ours is to complement the efforts of IGPs whoever, irrespective of how long or short he stays in office to deliver our constitutional mandate of maintaining law and order which is further broken into specific objectives of protecting lives and properties, detection of crimes, apprehension and prosecution of offenders. The office of the IGP seem to have become like the “Elephant meat” that everybody must cut his portion and share with his favourites before he leaves office but not necessarily to improve the working conditions of the ordinary police officer who is at all times facing dangerous situations because of soaring rates of violent crimes and that is my worry but not necessarily about an IGP or deputy IGP who is due for retirement and has been given an extention of office. What different things are those pushing for the retired IGP and Deputy IGP to go coming to do considering how the police service is politically polarised? They will also come and when it’s time for them to go, they will equally trek the Jubilee House and beg for extension of office so my problem again, is about people who speak against contracts or extension of office of others but hurriedly go for extension of office when it gets to their turn. Mr. Mohammed Alhassan pressurised Mr. Paul Tawiah Quaye to leave office only for him to go for contract or extension of office when finally it got to his turn and that is the attitude that irk some of us but not necessarily the contract. The issue of contracts or extension of tenures of office has become a tradition that we cannot break until the constitutional mode of appointing IGPs is modified. When Mr. David Asante-Appeatu was given extension of office for two years, it received condemnations from some section across the police and it even took political dimensions whereas those who are close to Mr. Asante-Appeatu’s “throne” jumped into jubilation justifying why he needs to stay on. 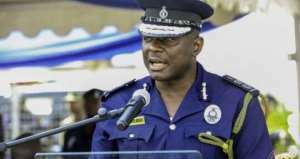 Currently, those who are not close to the “throne” of the Deputy IGP are giving varied and justifying reasons why he should be made to go home whereas those who are close to his “throne” are behaving like Oliver Twist, asking for more with hopes that he is going to elevated to the office of the IGP if Mr. David Asante-Appeatu should retire. So it is not about the contracts or extension of tenures of office of retiring officers but rather more of personal and parochial interests riding on principles of greed and self interest to satisfy favourites who are ready to lick the boot but not necessarily anything new to make the lives of the common police officer better. With the current state of the police service, what any IGP can best do is to supply uniforms and boots which do not even last beyond 6 months and nothing more than that. All those who are pushing for the IGP and his deputy to on retirement have their interests and what they stand to gain and so are those who are justifying that the IGP and his deputy to stay but I am very indifferent whether the IGP and deputy gets contract or not. I don’t care about that but rather what I care about is that, the police service must be equipped and maintained as the constitution proclaims. That should be the basis for arguing whether an IGP or retiring officers in the police should get an extention of office or not. The problem is not the contract but rather the contractors and that is what we should look at it objectively.